A sad indictment of much contemporary music is that it has been over-intellectualized. With fun expunged from the soul of music, it becomes so wooden and hard to enjoy that it may as well never have been releasedeven madeat all. However, on the occasion when intellect and soul meet, music of exceptional beauty and exceedingly important value is made, and it is possible to simply shut the eyes and enjoy it. 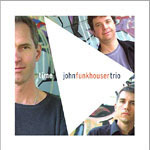 Such is the impact of the music of John Funkhouser and his trio on Time. It is easy to gloss over much of the impact of the music by suggesting that it fuses the rhythms of jazz and the forthright emotion of rock. But that would be shortchanging the music and the musicians alike. Like the fine trios of Paul Bley and Jimmy Giuffre, Funkhouser's music is rich in melodic invention, even when he is re-casting standards such as "Green Dolphin Street," "Come Rain or Come Shine" and "Alone Together." Funkhouser also employs such complex rhythms in deploying the melodiesespecially his own compositions "Ellipse," "Prelude & Fugue," "Eleventy One," "Ode to a Lame Duck" and "Kelp"that the music begins to live on several planes at once. There is the extremely lyrical, literary plane, which appeals to the inner ear of the mind. "Ellipse" takes on the life of a geometric shape, and life is infused and breathed into it so it becomes at once gnomic and delightfully grotesque in a way that recalls Federico Fellini's film La Strada. "Prelude & Fugue" is a smarmy "yes-we-dare" play on Bach; but it is a study that combines Bach's patrician technicality with plebian frolic in a glorious manner. The first movement, "More Cowbell," becomes more than a perfunctory musical gesture, but revels in gamboling pastoral imagery. And the second movement, "Fugue," is performed as if the doors of the Prussian palace were thrown open to invite a Brazilian Carnival in. "Dyin' Nation/Emancipation" is a lofty and damning comment on the state of social graces in the allegedly "developed world." There can be no doubt that Gustav Mahler envisioned dark thoughts about where the world was going in his Ninth Symphony. John Funkhouser, in no less a significant manner, sees the same social decay very similarly and employs dark tones and colors in viscous, wet paint on a musical canvas. "Ode to a Lame Duck" drips with dramatic irony, almost as if "Götterdämmerung" was returning to haunt the erstwhile predecessor of Barack Obama. Funkhouser employs a Wagnerian palette with a touch of Grecian pathos too. And, of course, "Kelp" is a splendid, murmuring suggestion of a sub-aquatic waltz. Bassist, Greg Loughman and percussionist Mike Connors are simply superb on this record. Loughman plays arco con brio on "Ellipse" with sublime authority. His pizzicato playingespecially on the ostinato passages of "Green Dolphin Street"is superb too. Connors excels as well. Both musicians are full participants in this memorable musical adventure with John Funkhouser. Track Listing: Green Dolphin Street; Ellipse; Prelude & Fugue in A Minor: Prelude (More Cowbell); Fugue; Dyin' Nation/Emancipation: Dyin' Nation; Emancipation; Eleventy One; Come Rain or Come Shine; Alone Together; Ode to a Lame Duck; Kelp. 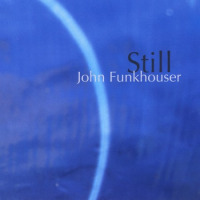 Personnel: John Funkhouser: piano; Greg Loughman: bass; Mike Connors: drums.